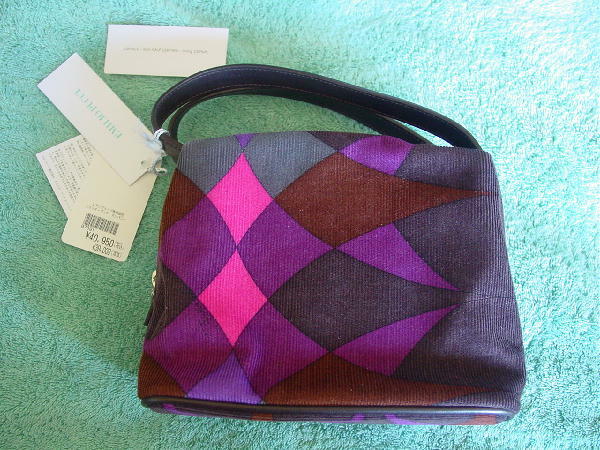 This never-used geometric print purse is 100% cotton (corduroy) and has a black 100% polyester tone-on-tone curved line design lining. It has double calf leather dark brown handles and trim. 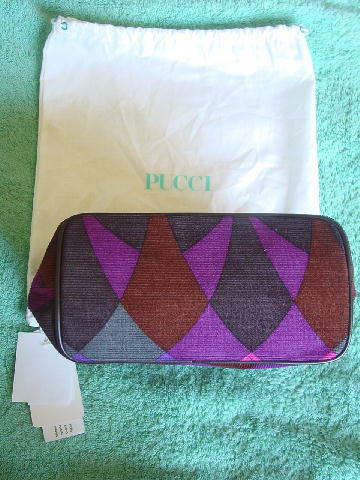 This Emilio Pucci handbag was made in Italy. 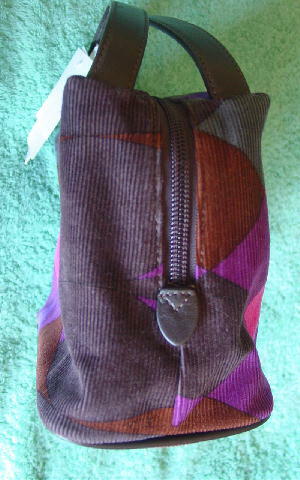 There is a top zipper which extends halfway down on each side. 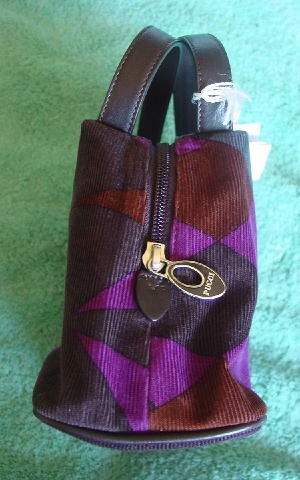 It has a dark brown and silver-tone metal zipper pull which has Pucci on the brown side. 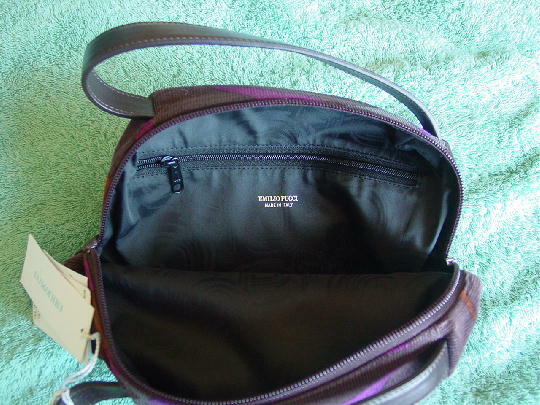 It has an interior zippered pocket with Emilio Pucci Made in Italy in silver letters. 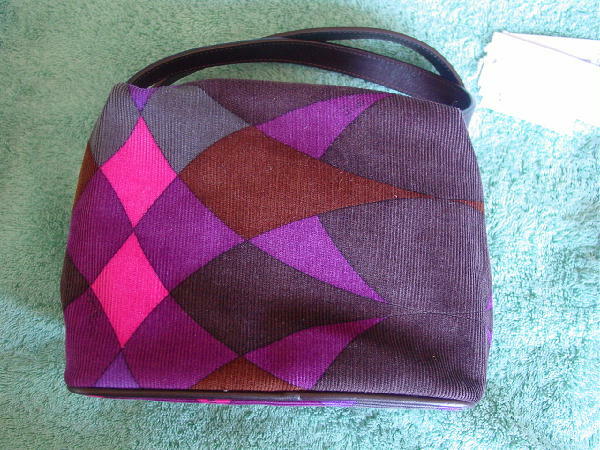 The design pattern is in dark brown, golden brown, gray, purple, hot pink, and purple-magenta. The manufacturer's tag is still attached, as well as the Japanese store price tag - yen 40,950 (approximately $340 US). It has a white 100% cotton bag which was made in Italy. The bag is 12" high by 11" wide and has a white drawstring with turquoise eyelets and Pucci in turquoise letters on the front.